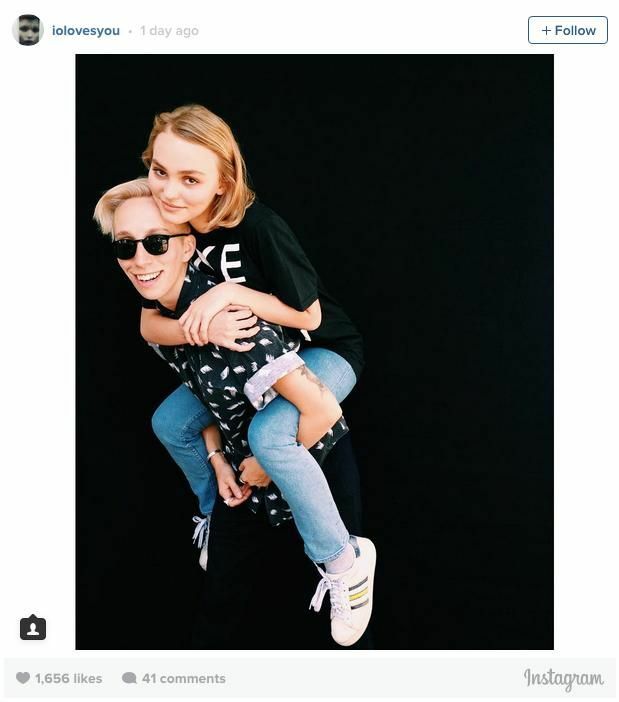 In addition to modeling for Chanel and starring in music videos, our latest It Girl obsession Lily-Rose Depp is now being featured in a queer-awareness campaign called Self Evident Truths. The work of artist, photographer and "social scientist" iO Tillett Wright, Self Evident Truths seeks to photograph 10,000 people who identify across the sexuality spectrum. Basically open to anyone who doesn't identify as "100% straight," the project aims to "spread awareness and understanding about a broader spectrum of human sexuality." "We want to bring human stories from within the LGBTQ community to the world," the website says. "So that we can begin to erase the boundaries between 'Gay', 'Trans', 'Straight', and 'Other'." After all, giving visibility to the vast spectrum is an important first step toward wider acceptance and we're pleased she seems to be taking her role as a public figure seriously. Well done, Miss Depp.